Following Napoleon’s example, Elisa Bonaparte requested a petite salle de la comédie inside the govermental palace of Lucca for her performances. Today, in the space that housed the theater and in other two rooms of Palazzo Ducale, the exhibition “The Nose and History. 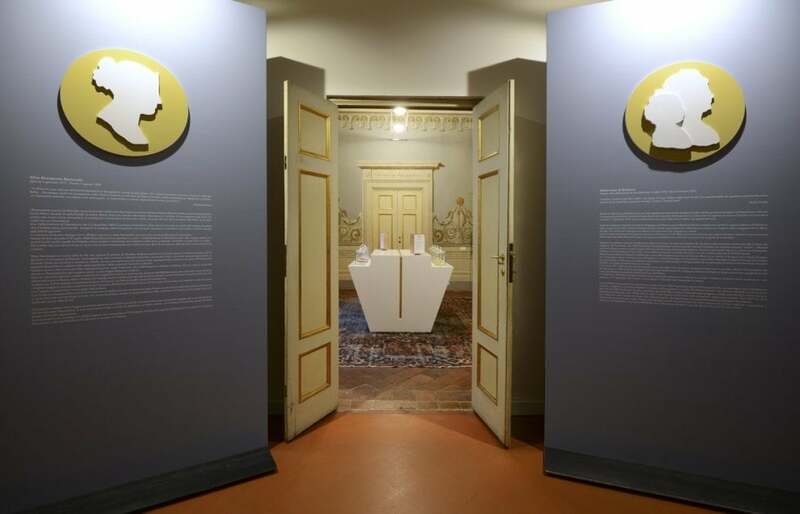 Experience the historical events of Elisa and Maria Luisa through your sense of smell” is set up. It consists in a thematic itinerary offering aromatic suggestions, objects and historical descriptions. 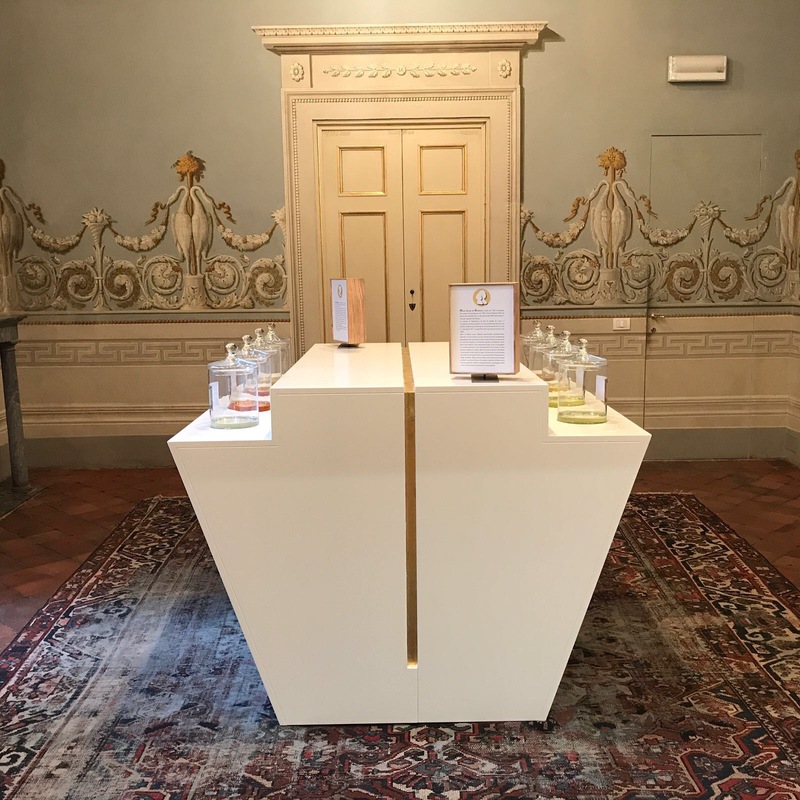 By smelling the different essences present in the exhibition, visitors get in touch with the atmosphere of that era: a real journey through time able to transform the olfactory experience into cultural information. The exhibition has been designed with the intent to recreate the spirit and the setting of the time when Palazzo Ducale was a Royal mansion. During the Republic, musical and theatrical entertainment in the Palazzo took place in the grand Council and Audience Chambers. Music had been a fundamental part of ceremonial at the Court of the Elders but instead of a single music room, there were several places where music was played. Musicians were members of the Court and played when the Chief Magistrate made public appearances, during meals, in the Palace Chapel and during elections. The Court of the Elders lived almost constantly in the public eye, as did many European courts during the baroque period, and there was always music as part of the image of power. Partly for this reason, it was the custom for citizens, suitably dressed, to go to the Palazzo and listen to the music while the Elders ate. 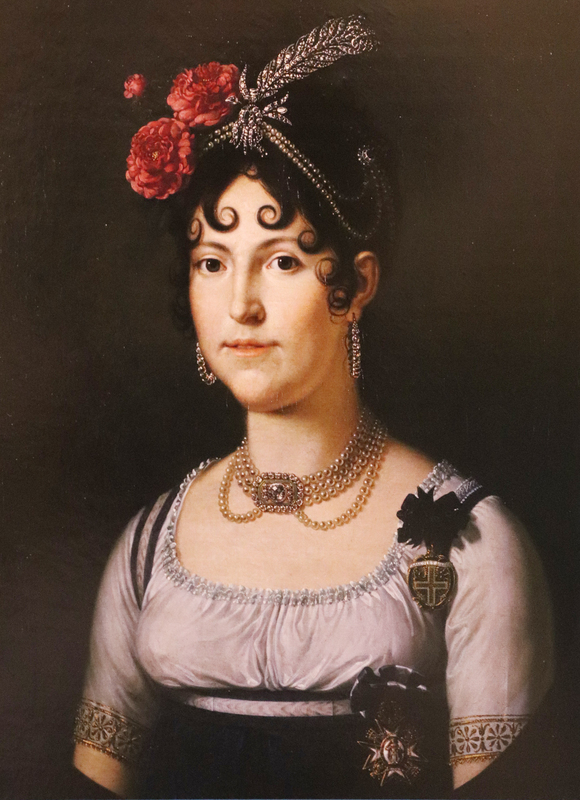 Elisa Baciocchi changed the old habits of the people of Lucca according to the more appropriate and commonly applied standards of a modern court where the public dimension was quite distinct and separate from the private. She closed the music chapel in the Palazzo and replaced it with a small private one. In the former Elders’ dining room she built a little theatre accessed from the passage from the Throne Apartments. This theatre could hold up to sixty people and had stalls, an upper gallery with a box for the royal family and a tiny stage with wings so that scenery could be erected. We can imagine this theatre being used almost domestically since Elisa loved acting and Felice Baciocchi was a fine violinist. 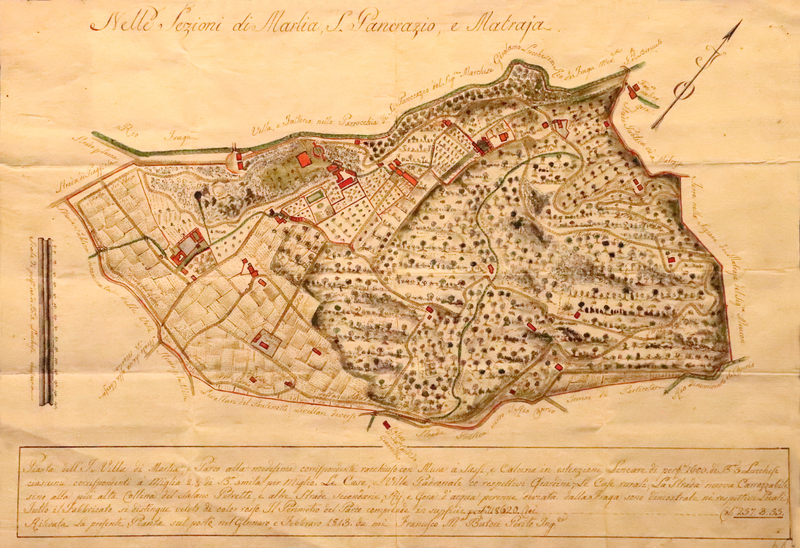 Apart from royal artistic enthusiasm, however, the theatre must have witnessed Niccolò Paganini’s virtuoso playing during his stay at the Court of Lucca between 1805 and 1809. The theatre was retained and perhaps altered by Maria Luisa and Carlo Ludovico Bourbon, without any substantial changes being made to the layout, however. 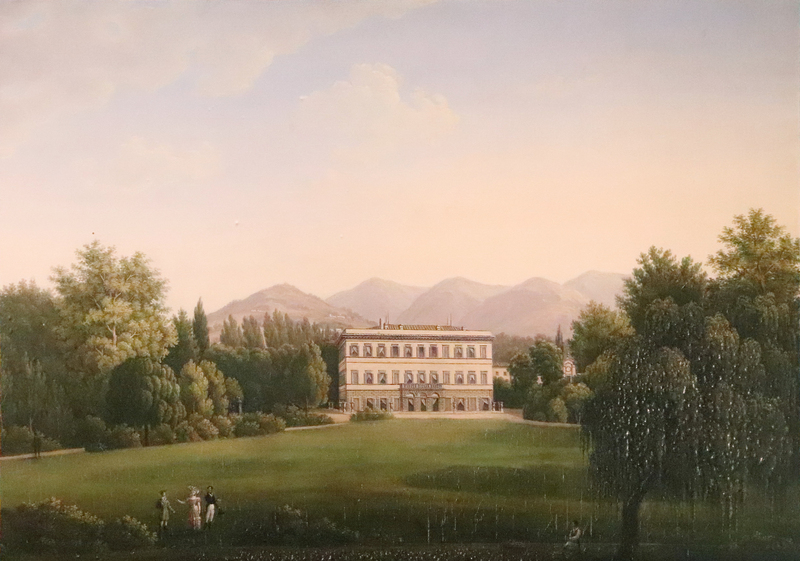 We can guess how fond the Court was of it from the fact that, during the building of the New Palazzina in 1834, Lorenzo Nottolini was obliged to preserve it intact and adapt his architectural plans to what was already there. In the Palazzo inventory of fittings we learn that in 1848, the theatre had sixteen little sofas in poplar wood with headrests and straw-stuffed seating, six similar sofas without headrests, six lecterns and two benches for the orchestra. It also had a painted stage curtain, four sets with four painted side scenery panels to represent a bedroom, a palace room, a prison and a rustic bedroom as well as other backdrops. The theatre was dismantled in 1872 during the work required to change the first floor of the New Palazzina into the Royal Appeal Court. The space was subdivided into three rooms to be used as offices for the Attorney-General of the Appeal Court.